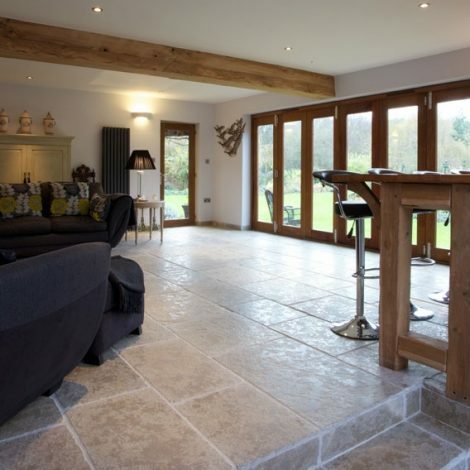 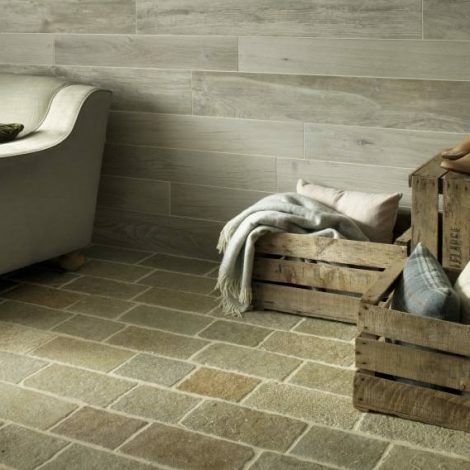 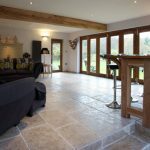 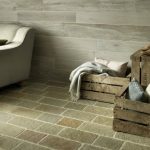 The tones may be soft and muted, but the stone is as hard as nails – virtually indestructible, in fact. 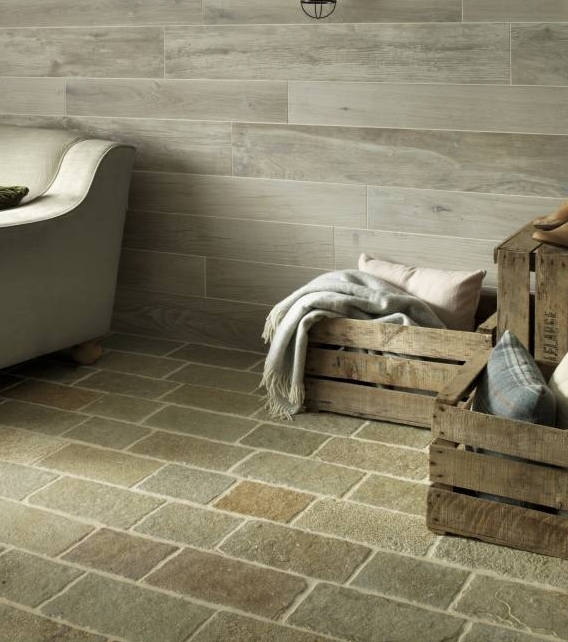 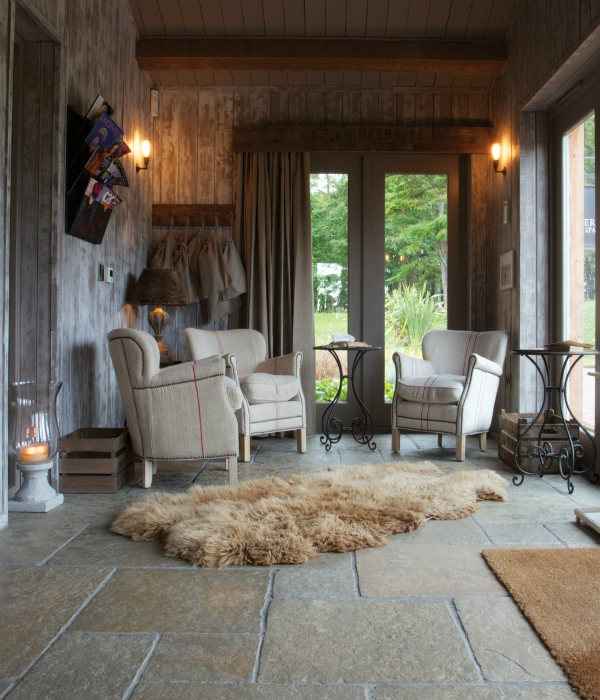 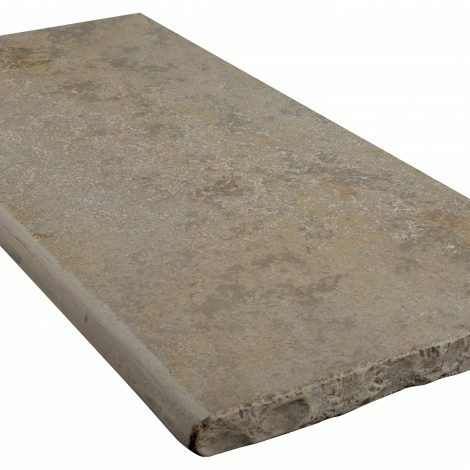 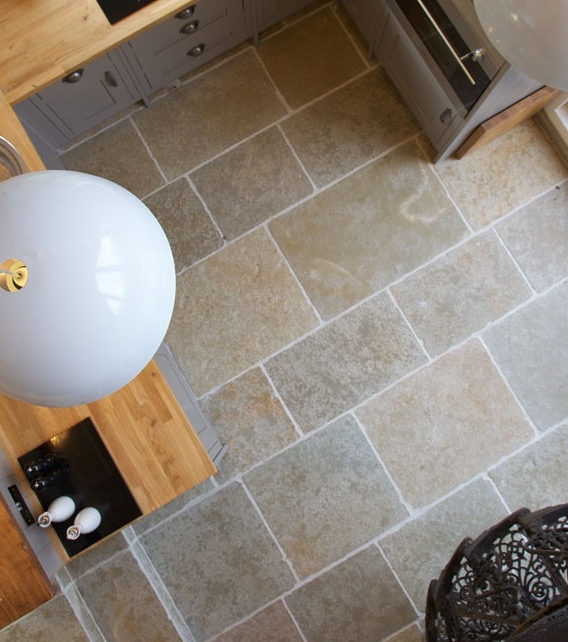 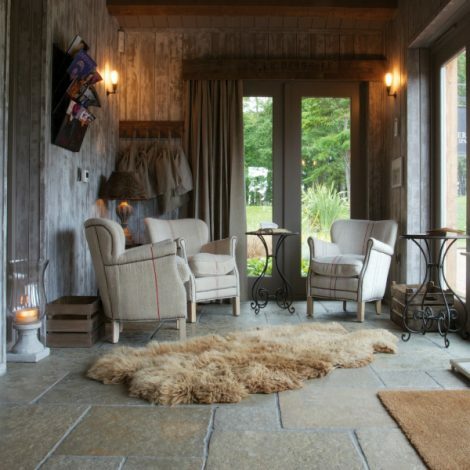 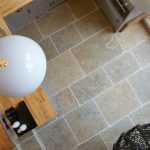 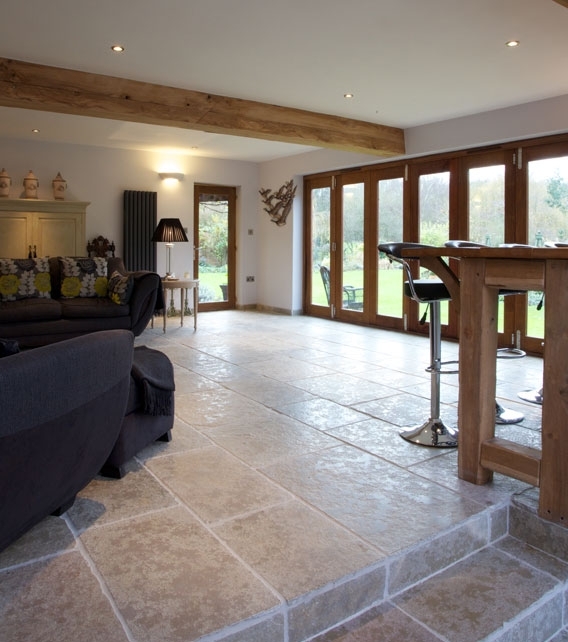 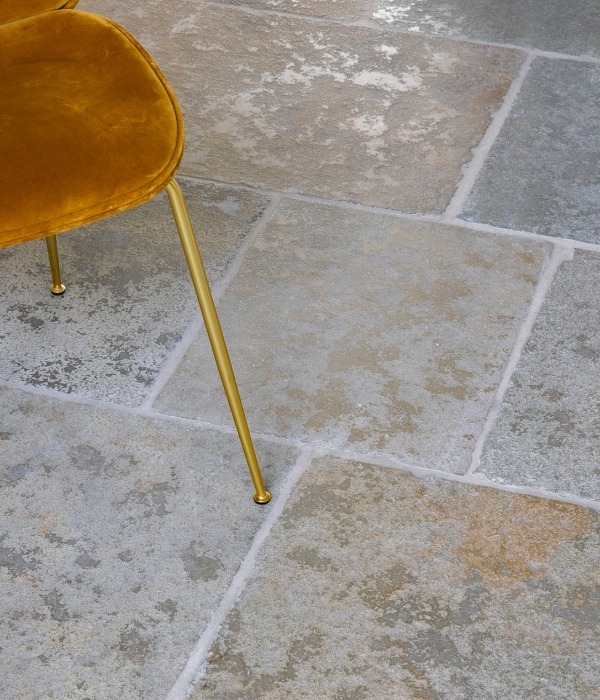 The natural riven face of the stone is smoothed off, then “seasoned” to give you the appearance of a time-worn, country-house floor. 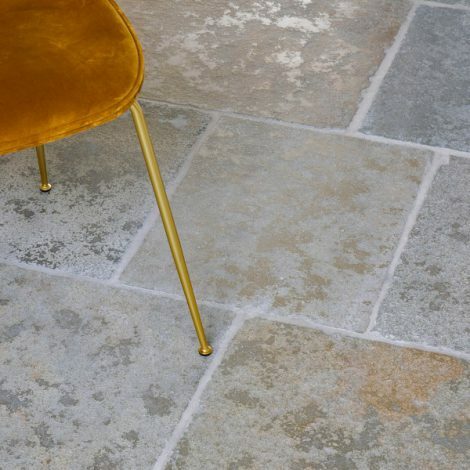 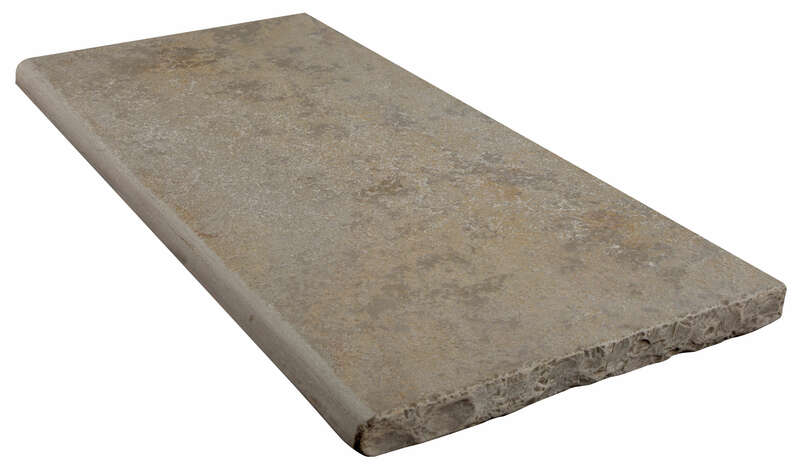 A fantastic price for a memorably good limestone.